Hello loves! I woke up this morning to rainy and cold weather. I guess nature doesn't like Mondays either. I hope that at least my blue polish will cheer people up. After all, it's a special one. It's an older purchase but I've been saving it up for a special occasion and also for the end of summer because it's a fall color after all. What better occasion for wearing this than my trip to London. This has been on my nails non-stop for a week! So you guys know I love blue, right? 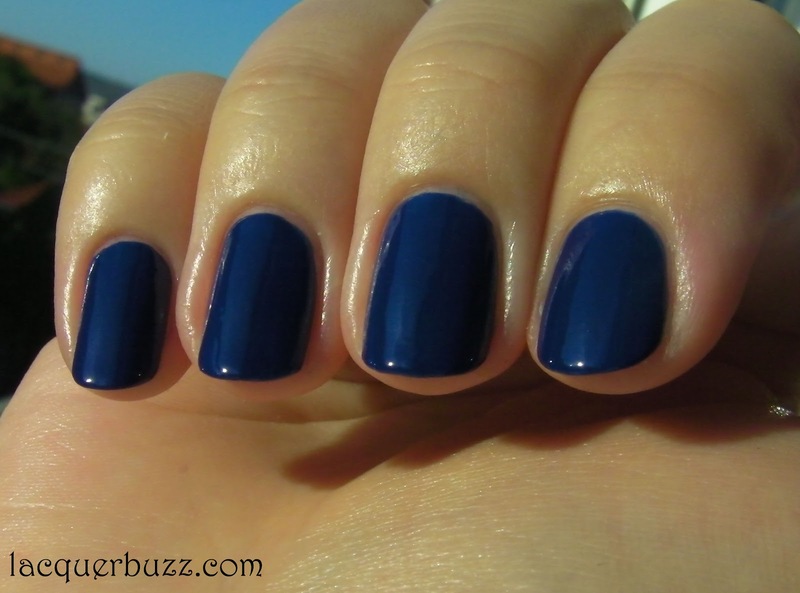 Well my favorite polish of all time is China Glaze First Mate. When Man Hunt first came out, I was sure they would be pretty much the same. I ordered it anyway because I couldn't resist, and to my surprise they are different. This difference would probably not be evident for someone who is not obsessed with nail polish, but for us "connoisseurs" they definitely are two different polishes. I won't go into details because hopefully I will be making a comparison with these two, but Man Hunt is deeper and First Mate is dustier. What is very special about this navy dream of a polish is the finish. Some have called it a jelly but I think it's too opaque for that. Given the squishy finish I would call it a crelly (although many people hate that word). It's opaque in 2 easy coats and dries to such a shiny finish, that you definitely don't need top coat. I had to add some because I was going to wear this a lot, so some of my pictures are with top coat and some are without it. But I can assure you I have no idea which is which! Now wearing a manicure for one week is a big thing for me. However I didn't get bored of this at all. Of course my weak right index nail had to chip after 2 days of wear. I will blame that on the thinness of the nail. It wasn't even that noticeable so I left it on. On the other fingers it behaved well and only showed minor tip wear after almost a week of wear. 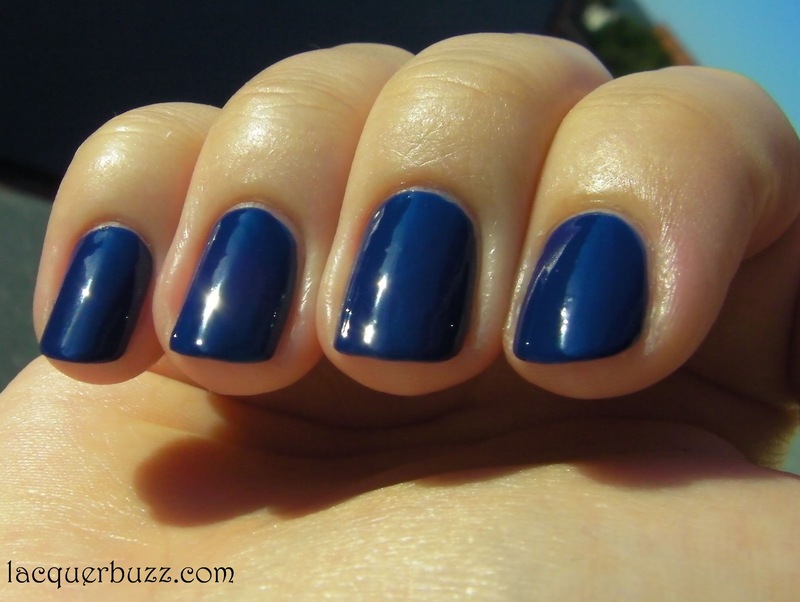 I would say that this is a great polish to have in your collection. Everything about it, including formula and durability, is amazing. You probably won't need this if you have First Mate, unless you are obsessed like me. I LOVE this colour. I might have to order some China Glaxe nail polishes too! Love it! Gotta get it! Gotta love it! I agree with you, crelly is probably the best description. oh my gosh, I didn't realize that it was so rich!!! all swatches I've seen so far were just... ok. Maybe I'll have to have another look!!!! Fab photos of Man Hunt - you captured it better than any other photos I have seen. Initially I felt as you did - would be super similar to First Mate. I bought it sight unseen except for mock up advertising ick drawing of bottle shot. It was the opaque in 1 coat, fab cream formula on the red one from this same collection that I thought, well I am ordering the red so maybe should get the blue since I will always wonder if it had the same outstanding formula the red was written up as having. When ChG nails a cream formula they really get it! I have OPI's navy from fall 2012 (Roadhouse Blues) also thought of that one with Man Hunt. So glad I did order this one. I still feel First Mate is my fav navy blue. But this one is realy close up there. It's darker but not so dark it goes black in most lighting like almost every dark navy I ever had does. This stays blue even in low light. And it's formula in the bottle I have is equally as good as the red cream in this collection. I have Elephant Walk and Desert Sun and those formulas are terrific also. Elephant has a tish of shimmer so not a true cream but I put it into my database description as cream under formula column with additional description in my 'other' column. I am really happy with this shade as you might have noticed. Again amazing photos! These photos are spot on how it really does look. Other photos I have seen fall really short showing what this blue baby has going for it! This is one of the most gorgeous blues I've seen. Too bad blue clashes with my complexion :( But it looks very pretty on you. Thank you! So sorry to hear that! 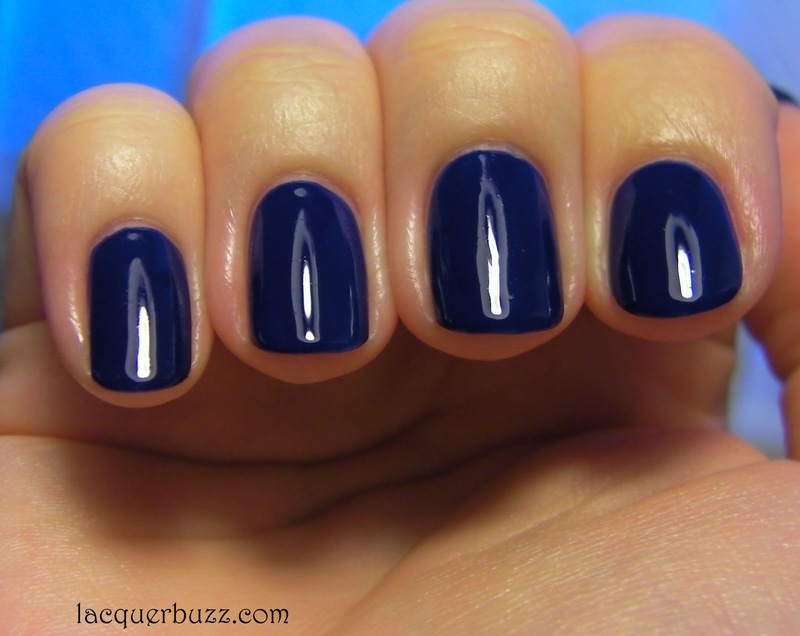 Have you tried navy? I think this type of color would look great on pretty much everybody. Thank you for the comment! And thank you so much for liking my photos! I always do my best to capture the colors I'm photographing. 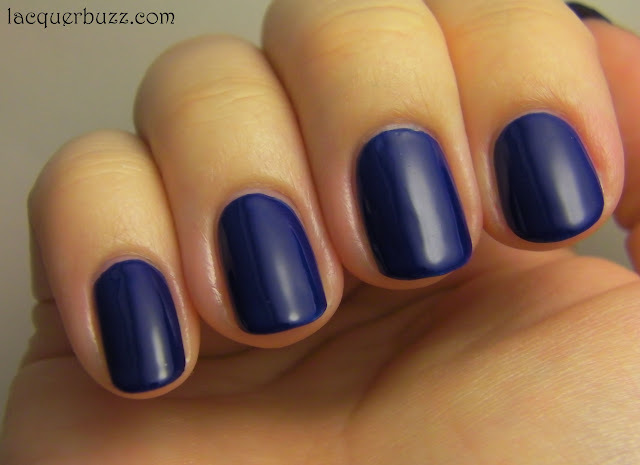 China Glaze really has great polishes and you can always count on them for a great formula and durability. That's why it's my favorite brand. Of course First Mate is my favorite forever. But I like this in a special way and would always have to own both of them. I need Elephant Walk too from this collection because I love grey polish. I can't wait to wear some fall colors and Elephant Walk sure is one of them. Thank you so much! This really means the world to me! I admire those bloggers who's photos create lemmings. I'm glad I did that. And yes, Gosia, you need this polish! Every blue lover needs it! Thank you! I guess this word needs to be in the dictionary haha. You should! They are really great! 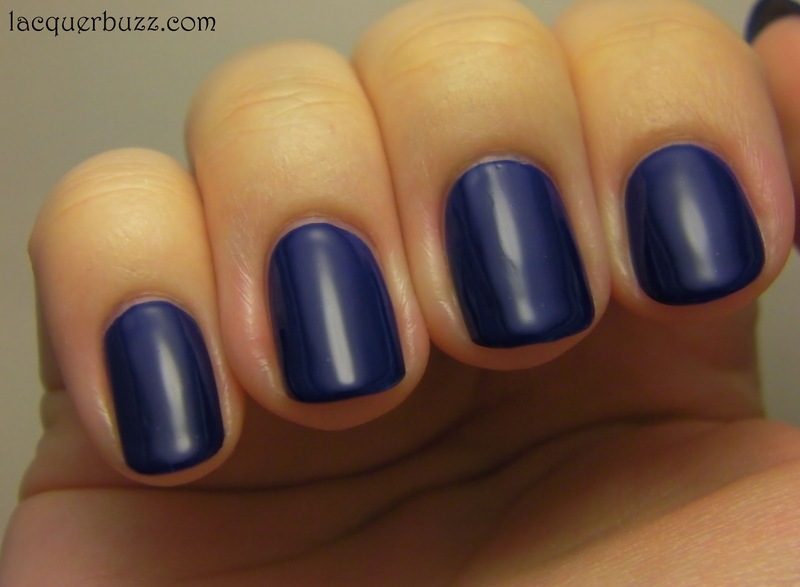 Love this shade (with the clear top coat on it). I bought this before seeing it based on a review for the formula of the red in this collection being opaque in 1 coat...hoped the blue would not be a repeat of any other I had - it's close to some but still a welcome member in my stash. Nice photos.